How to prevent the flu naturally is a topical question, because this last month my wellness clinic in Sydney has been seeing an unprecedented numbers of cases. The Sydney Morning Herald wrote about it today and it seems the Influenza strains around this winter are particularly virulent and not only make you feel rotten, but continue to make you exhausted and not feeling yourself for up to 3 weeks if left untreated. Now we all know that there is no conventional flu treatment except rest, fluids and the use of drugs to reduce fever and aches and pains. Homeopaths, however, have a whole different take on this illness and can provide effective relief from your symptoms both in the acute stages as well as afterwards. I have been treating so many cases of post flu symptoms: Tiredness, lack of motivation, general malaise and feelings of depression. So if you want to avoid it, how can you prevent the flu naturally? Firstly stay away from people who have symptoms as much as you can. Wash your hands after public transport to prevent additional transfer of the virus and stop any avoidable close contact with current sufferers. Avoid touching your eyes, nose and mouth. It’s important that your diet is high on healthy, unprocessed foods and low on sugar. Eat as much fresh green leafy vegetables as you can and colourful foods high in antioxidants. Cut back on gluten and try avoiding dairy produce as this can make many of us more prone to mucus production. Head over to Bodhi Organic Tea for their current article for more immune boosting foods and tea ideas. Zinc: This mineral is your friend during winter especially as it plays a significant role in immunity. If you are unsure if you need Zinc get your wellness practitioner to test you on the spot or let me test you. If your levels are very low it’s important you supplement right way but also that you investigate why your levels are so depleted. 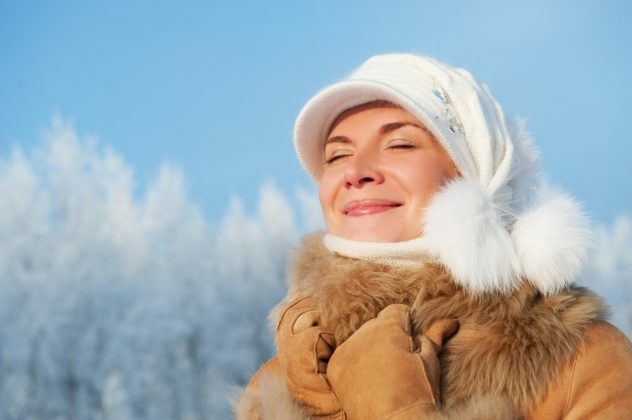 Vitamin D: The levels of this super hormone fall during winter months as we get less exposure to sunlight on our skin. Studies have shown vitamin D supplementation to be effective in preventing Influenza A strains and there is clinical evidence that supplementation at significant doses can assist in influenza recovery. Ensure you take an active form of Vitamin D3 and get professional advice. Vitamin C: Eat plenty of vitamin C rich foods to boost immunity and increase mineral absorption – you can find Dr Axe’s list of the top 10 foods here. Brussel sprouts and oranges here we come. Garlic: Several strains of the influenza virus have been shown to be impacted by an active ingredient in Garlic, Allicin, and in this study (1) by Josling et al, garlic supplementation was show to effectively reduce the incidence of colds as well as reduce their duration significantly due to suppression of antiviral activity. I have a favourite all round flu and cold prevention supplement and it is Ethical Nutrients Immune Defence. Easily to obtain from most large chemists here in Australia, I like the formula which is combination of Zinc, vitamin A and the herb Andrographis which is excellent for treating upper respiratory infections and in this case, – preventing them. So what other avenues are there on how to prevent flu naturally? Homeopathy of course! I have saved the best until last. As soon as the flu season begins you can take a preventative medicine called Oscillococcinum. This is the number one flu treatment in France including all conventional treatments. Myself or other Homeopaths can supply it to you and your family. In addition, have a constitutional Homeopathic treatment form your Homeopath. This will boost immunity and make your system less likely to succumb to the flu and if it does, deal with it better and faster. A pre winter tune-up is always a good idea, so next year get yourself booked in during April and May. At this consultation we will go through diet and supplement recommendations as well as prescribe an immune boosting treatment. If you want to learn more about what Homeopathic Medicines to use to treat your flu yourself, check out my previous post. If it’s winter already, and you do not already have the flu book in with me as soon as you can and let’s prevent it naturally, together. Josling, P., 2001. Preventing the common cold with a garlic supplement: a double-blind, placebo-controlled survey. Advances in therapy, 18(4), pp.189-193.